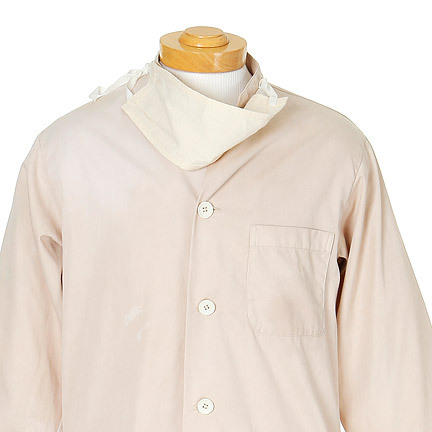 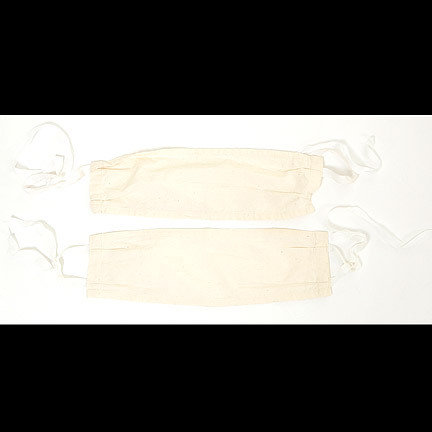 This garment was worn by the character “Walter Fane” portrayed by actor Edward Norton in the 2006 film “The Painted Veil”, co-starring Naomi Watts, and Leiv Schreiber. 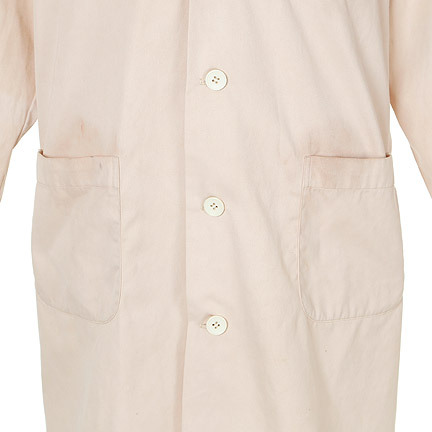 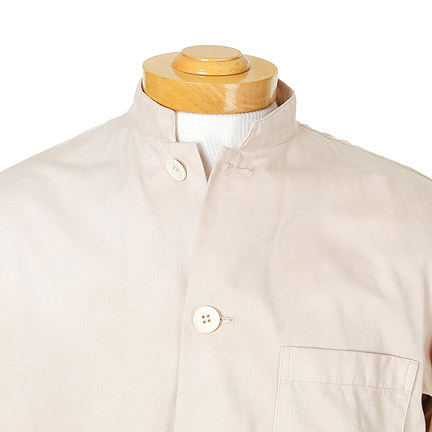 The off white period doctor lab coat features a stand collar, six button closure, breast patch pocket and two lower patch pockets. 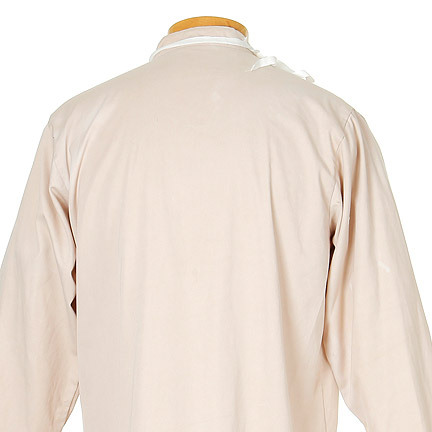 There is a subtle red-brown stain above lower right pocket. 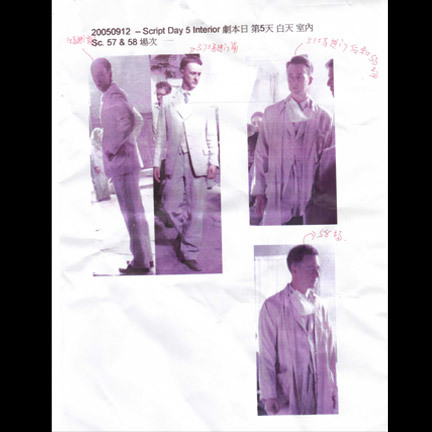 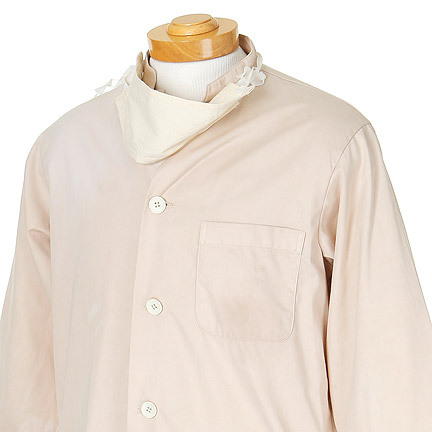 Also included are two surgical masks from the production. 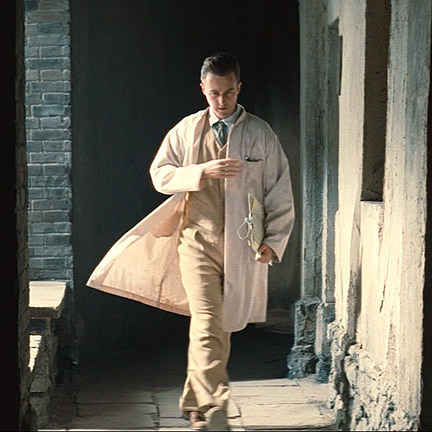 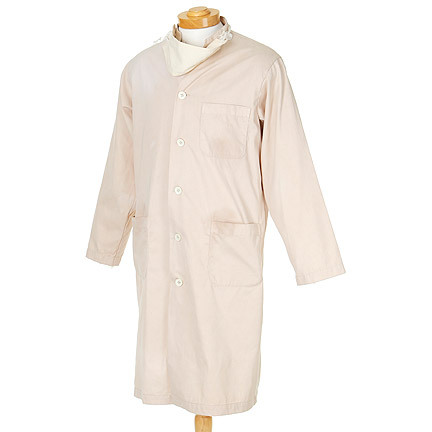 Mr. Norton wears this doctor's coat, with a surgical mask, in many scenes throughout the film. 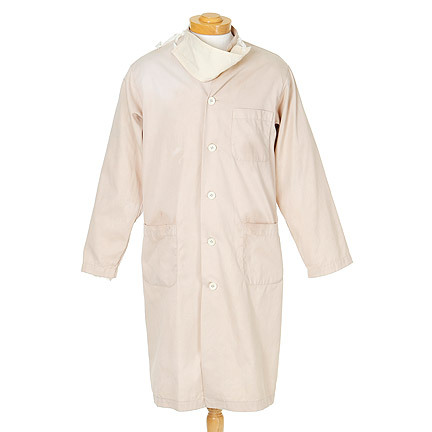 It is worn most prominently when he is introduced to the cholera ward in the small Chinese provincial town. 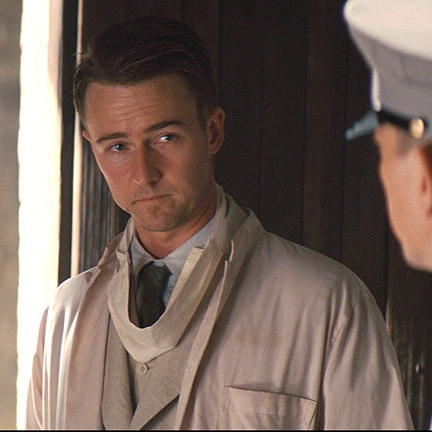 As a microbiologist, this is Walter's first time seeing actual cholera patients, and he nearly vomits when he sees the horrendous state they're in. 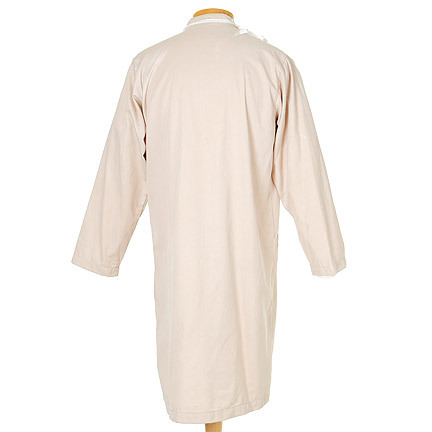 This garment is in excellent screen worn condition and are accompanied by a letter of authenticity.